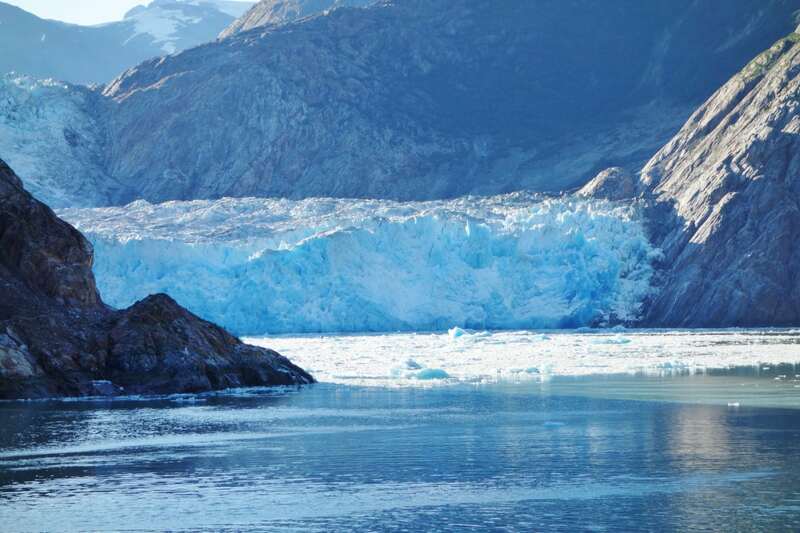 Are you considering venturing to Alaska on a Celebrity Solstice Cruise? 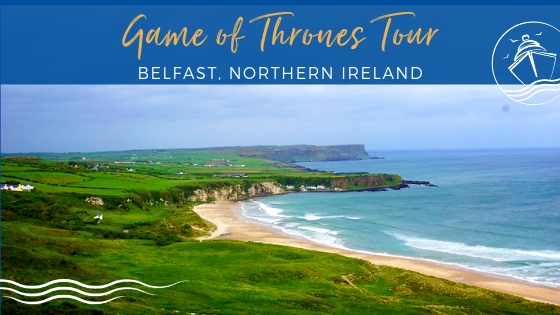 Perhaps, you already have this trip booked? Great choice! 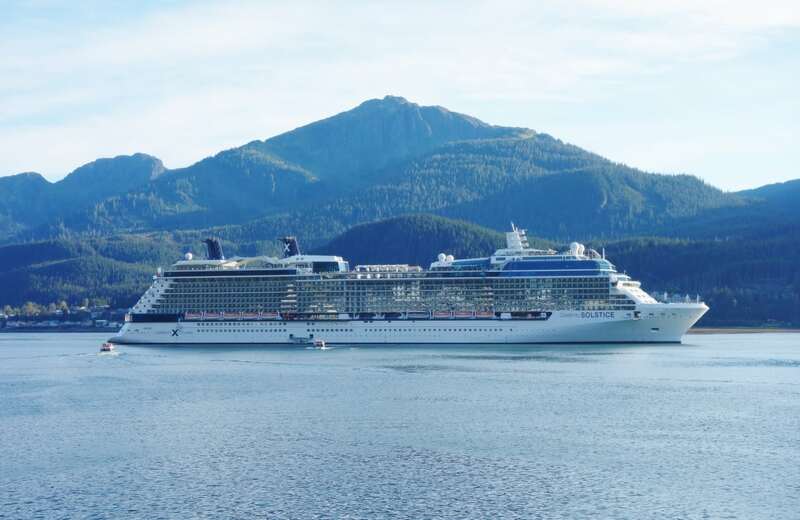 Celebrity Solstice, weighing in at 122,000 gross tons, is currently one of the largest cruise ships that sails in Alaska. 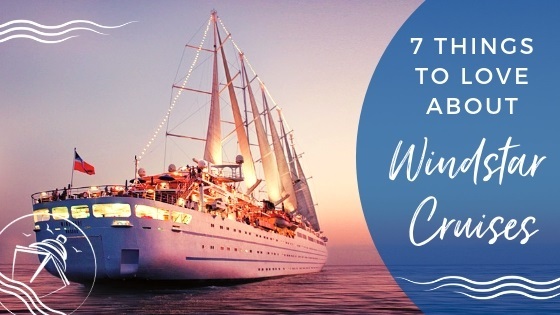 If you are a fan of mega-ships like us, then this is the perfect ship for you. 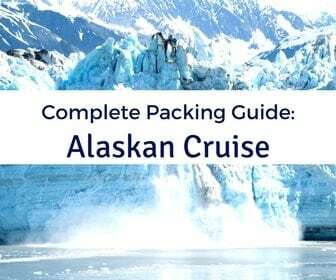 You will be able to enjoy the best of both worlds- you can marvel at the majestic Alaskan landscapes as you cruise the Inside Passage, but you will still have plenty of unique onboard amenities to enjoy as well. 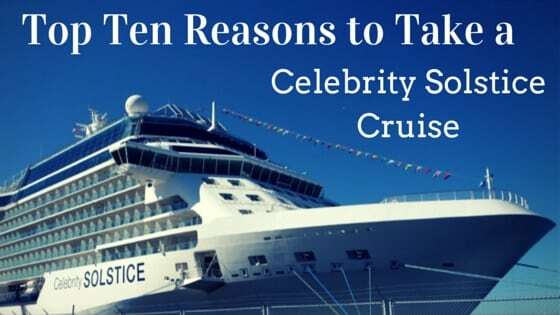 After our sailing on this ship in 2014, we have come up with our Top 10 Reasons to take a Celebrity Solstice Cruise to Alaska. 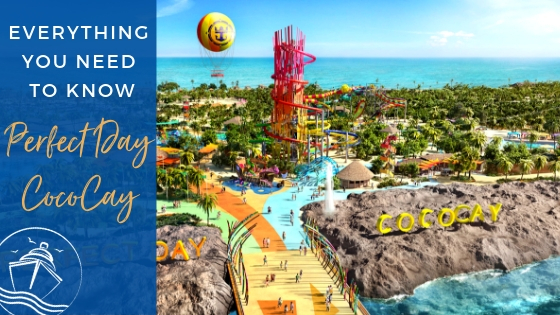 With so much to do and see on the ship and at your ports of call, you will want to make sure you get to enjoy it all. 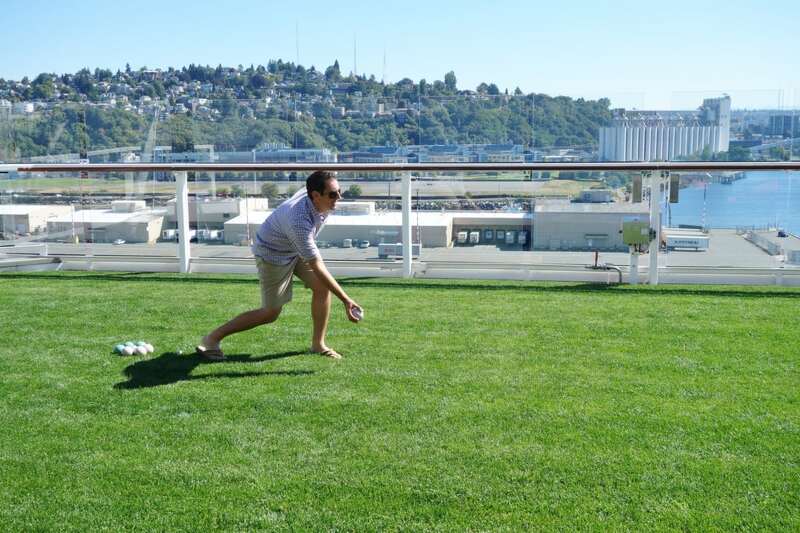 The Grass is Greener on Celebrity Solstice, quite literally! Yes, the Solstice was the first at sea to have its very own green space. This well-manicured lawn on the top deck is the perfect place to relax and sip on a cocktail while enjoying the view. You can even create your own picnic lunch or play a game of bocce ball. This lawn area will almost make you forgot you are on a cruise ship. If there is one thing you do while on a Celebrity Solstice Cruise to Alaska, you must attend the Beyond the Podium series of nature talks provided by Brent Nixon. 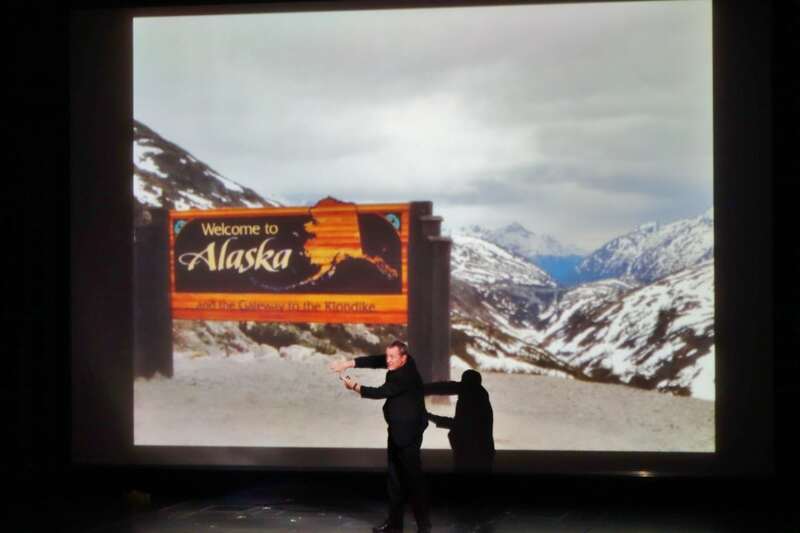 With his true zest for nature, his animated personality, and his vast knowledge of Alaska and its wildlife, Brent Nixon provides many entertaining and informative presentations throughout the cruise. 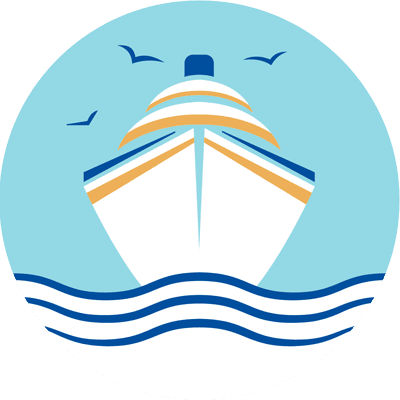 His wife, Miss Amanda, is the ship’s historian and quite a character herself, providing equally entertaining talks about the history of the port cities. Want another one of a kind experience? How about taking in a hot glass show on your Celebrity Solstice Cruise to Alaska? 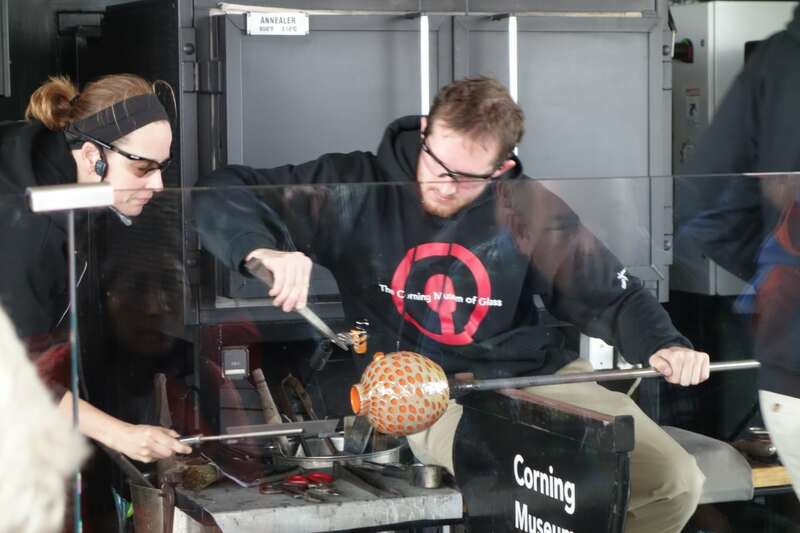 The Corning Museum of Glass has partnered with Celebrity Cruises to offer live glass blowing demonstrations. Offered several days/times during the cruise, these demonstrations showcase professional glass blowers creating pieces of artwork right in front of you. At the end of the week, some of the unique pieces are auctioned off to the highest bidder. If you have your heart set on purchasing this one of a kind artwork, be ready to pay a pretty penny! I bet when you think Alaska, you don’t think of dining al fresco, do you? Why not? With so much natural beauty to offer, you should definitely take advantage of the outdoor seating at the aft of the Oceanview Café for an early breakfast or midday lunch. You never know what you might see. We actually saw 2 whales fluking right near the ship while having lunch one day. So, don a jacket or light sweater and get outside. 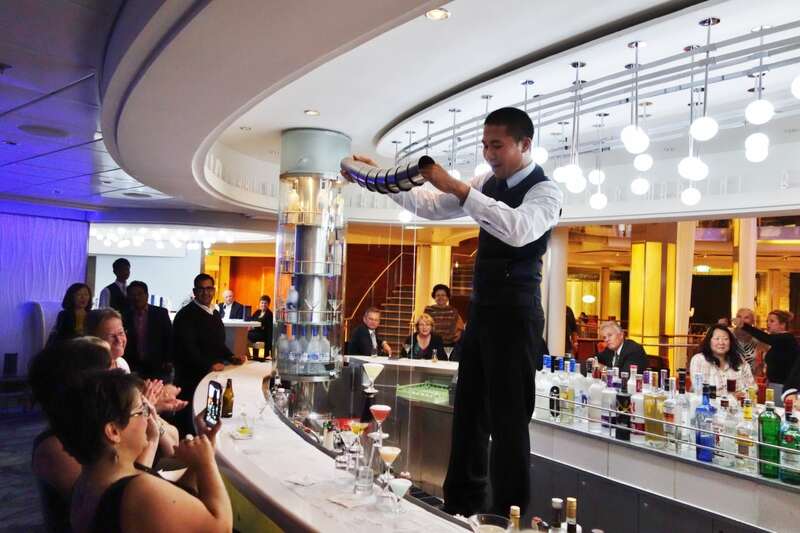 UPDATE: Since our sailing on Solstice in September 2014, the Molecular Bar has been replaced by the World Class Bar that claims to offer a similar experience. Too bad- We loved the Molecular Bar! If you are looking for a one of a kind cocktail experience, then you need to head to the Molecular Bar onboard Celebrity Solstice. This venue offers true molecular mixology in a casual atmosphere. These signature handcrafted drinks created by The Liquid Chef, Junior Merino are prepared right in front of you with all fresh ingredients. Rose petals in a drink? Sure, Coming up Roses is one of the signature drinks on the menu and is quite tasty. 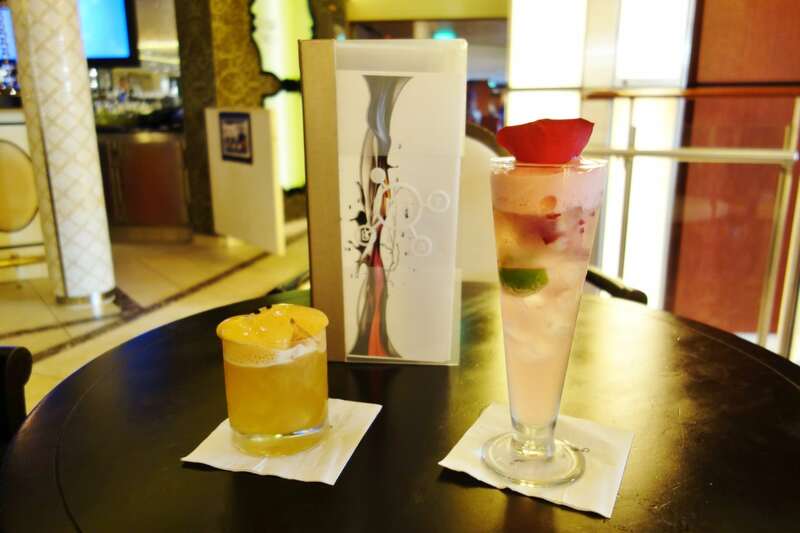 And, the best part is, these drinks are covered in the Premium Drink Package! 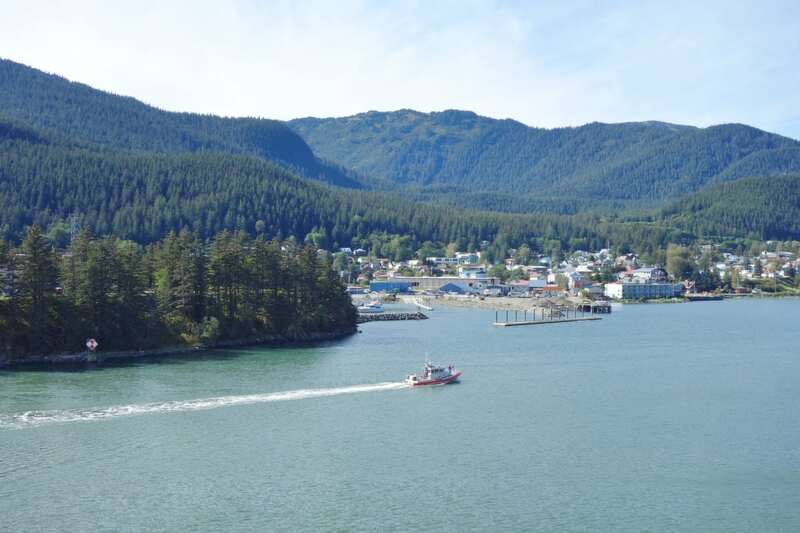 Just because you are on an Alaskan cruise, doesn’t mean that you can’t go for a swim. 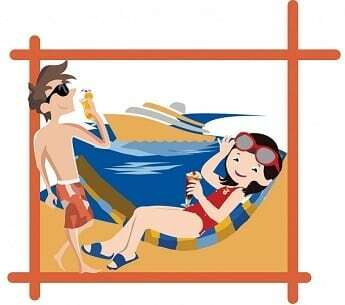 Celebrity Solstice offers both indoor and outdoor pool options. If weather allows, you should definitely take advantage of the outdoor pools and whirlpools. Or, maybe you prefer the tranquil vibe of the indoor, adults only, Solarium. This area offers its own relaxing indoor pool and whirlpools. 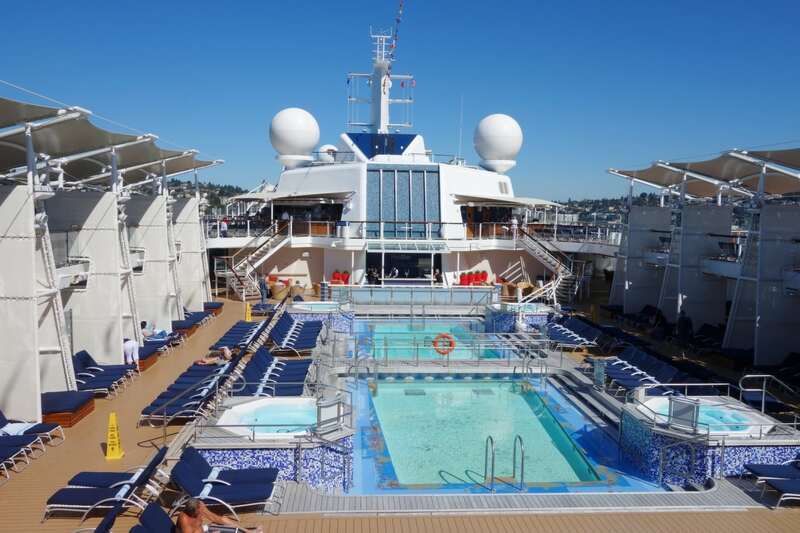 So, be sure to pack your bathing suit and secure some time to lounge around one of these great spots during your Celebrity Solstice Cruise to Alaska! If you want to enjoy a few adult beverages in the evening but not miss out on any of the action, then the Martini Bar will probably be your hang out spot. This ice-topped bar, located in the center of deck 4, offers a large signature martini menu and a lively atmosphere. The bartenders here are some of the best we have ever had on a cruise! Not to mention, they offer entertainment too, showcasing some great mixing and pouring skills. 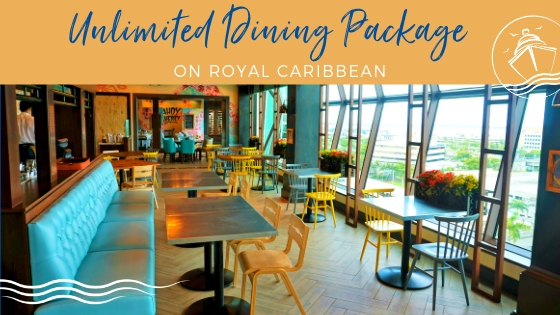 Celebrity Cruises is known for having outstanding Main Dining Room food among cruisers, but don’t forget about all the other great dining choices on Celebrity Solstice. 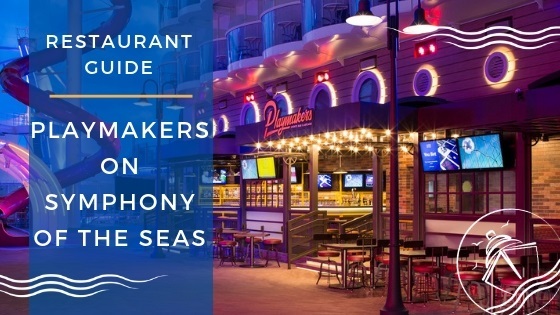 This ship offers specialty restaurants with unique cuisine including Silk Harvest, Murano, Tuscan Grille, Blu reserved for Aqua class guests, and the casual Sushi on Five. Depending on your tastes and your budget, you may want to try one or all of these great menus. Even if you have a balcony, you should definitely head up to the top deck of Celebrity Solstice during your sail in to Tracy Arm Fjord and Sawyer Glacier. You can capture some great photos from your balcony, but you can’t truly experience the full beauty of the glacier until you head up to the Solstice Deck. Having this panoramic view was breathtaking, and we were able to take some amazing photos. Luckily the weather was in our favor that day, so we had clear views, and the captain was able to navigate pretty close to the glacier. Word to the wise: Bundle up! The weather on the top deck this early in the morning can be quite chilly. Oh wait, this is a vacation right? 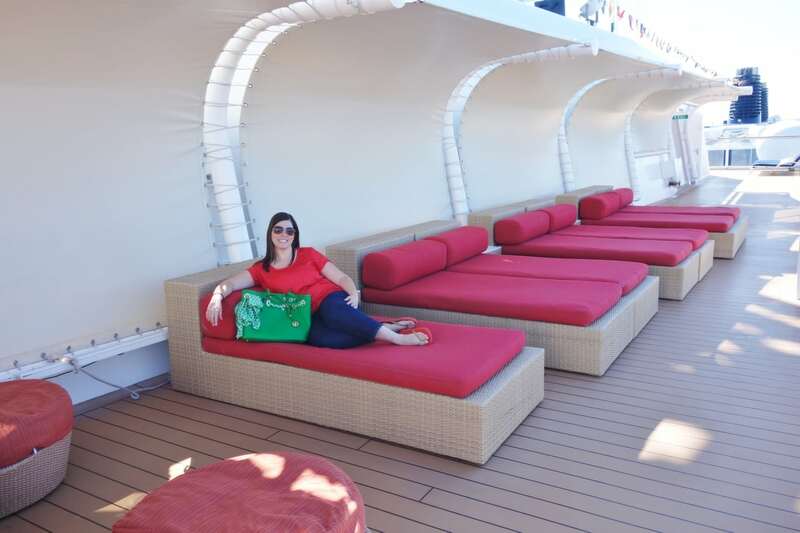 Be sure to take some time to relax while on your Celebrity Solstice Cruise to Alaska. Whether you choose to visit the Canyon Ranch SpaClub for a massage, enjoy the panoramic views in the Sky Observation Lounge, or just relax outside on the Solstice Deck, you are sure to feel rejuvenated on your return trip home. 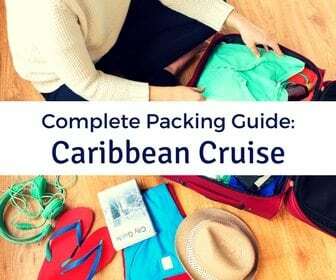 You might just decide to book another cruise! 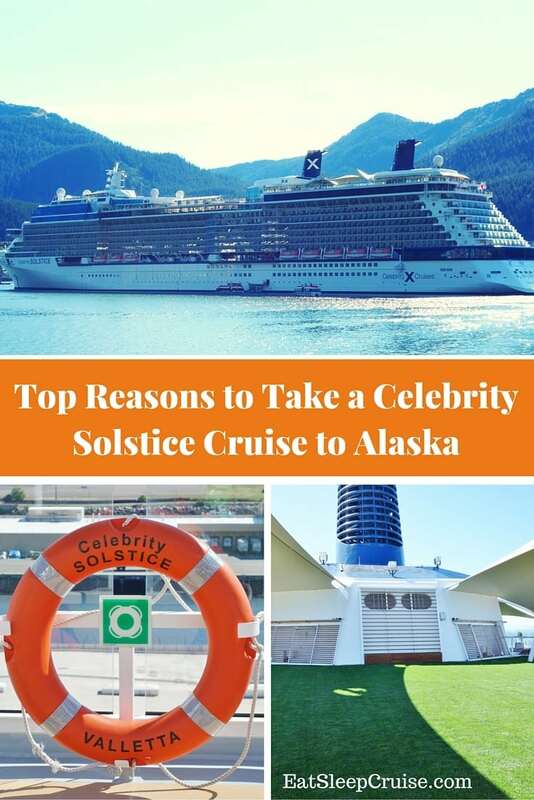 Have you taken a Celebrity Solstice Cruise to Alaska? 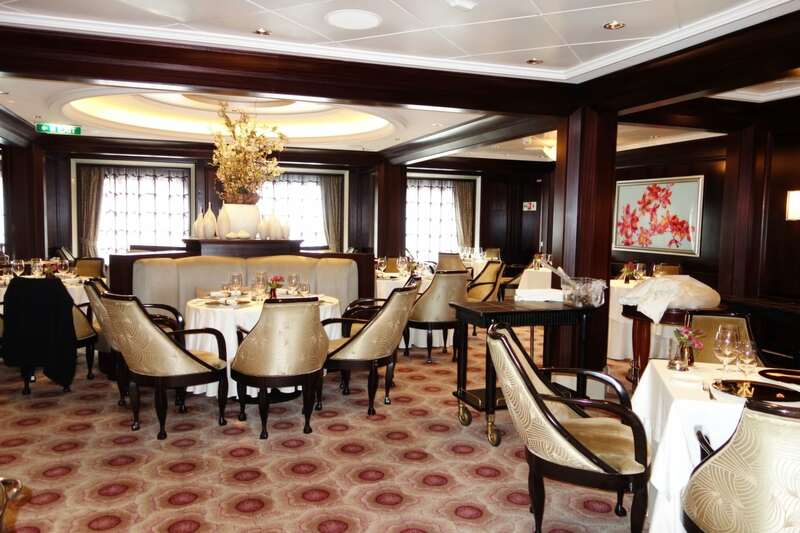 What are some of your favorite things to do onboard this great ship? Drop us an anchor below to tell us about your experiences on Celebrity Solstice and help your fellow cruisers make the most of their cruise way up north to Alaska. No more molecular bar for a long time now. Thanks for bringing this to our attention. Sad to see that it has been replaced since our sailing in September. It was one of our favorite spots! We just returned from our Alaskan Cruise on the Solstice. Thank you for all your helpful hints, I took notes on points of interest from you each day, which were very helpful. Especially enjoyed the Beyond the Podium with Brent Nixon, we didn’t miss any of these and wish we would have bought the DVD’s. We are ready to go again.